Iran has been continuing its series of blatant measures in defiance of norms accepted as standard by the international community, all as the Trump administration continues to weigh on blacklisting the Revolutionary Guards (IRGC). Iran has gone as far as pledging to launch “roaring missiles” in response to threats. To this day, several ballistic missile launches – capable of delivering nuclear payloads – have been Tehran’s report card. Reports also show Iran increasing its support of the Houthis in Yemen by providing “Kamikazi” drones, water and airborne, to threaten shipping lines in Bab el-Mandeb and most certainly Saudi Navy ships, as weapons analysts confirmed forces aligned with former Yemeni president Ali Abdullah Saleh are also using these weapons to target missile-defense systems used by Saudi-led coalition units. And after harassing US warships in the Strait of Hormuz, Iran has gone as far as not only denying the entire ordeal, but also holding Washington responsible for any future face-offs in a shipping route key for international oil trade. 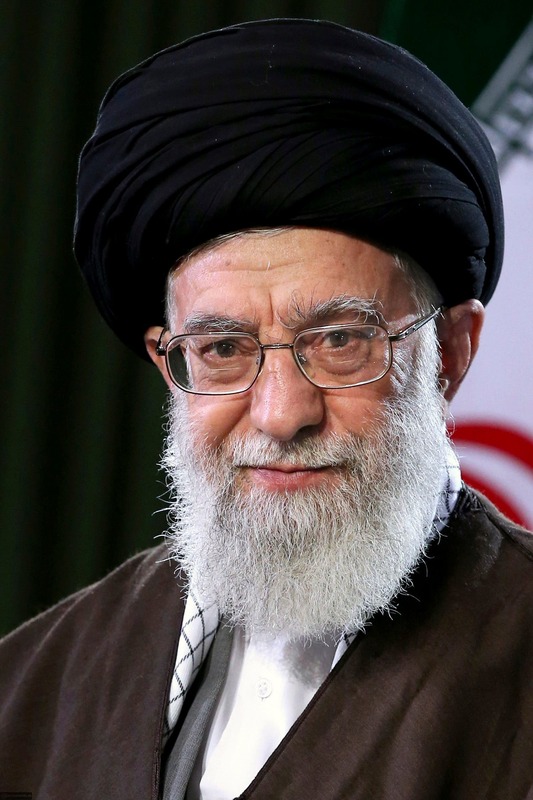 Fully aware of its weak and outdated military capabilities, the mullahs are attempting to both keep a straight face at home and obtain as much leverage as possible in regards to the new White House completely overhauling its predecessor’s Iran engagement approach. Trump has shown his muscular perspective through an array of thorny statements followed by new sanctions, welcomed by the Iranian opposition. However, if Washington is truly serious about returning peace and security to the Middle East, targeting the destabilizing epicenter is crucial. The Trump White House is continuously pledging more severe US action if the mullahs see their interests in continuing to breach international norms by taking on prohibited missile launches. A number of Iranian first official dismissed the tough talk by President Trump over the deal that initially aimed to curb Iran’s nuclear program as nothing but empty rhetoric usually resorted to on the campaign trail. However, through appointing Gen. James Mattis as his defense secretary and with a second round of sanctions against Iran, many voices are being silenced. With the nuclear deal being described as “weak and ineffective” by President Trump, his administration has moved forward to addressing another very important matter in the US-Iran relationship. As Tehran was witnessing its money and influence going down the drain, the nuclear deal provided the regime an escape route to evade a military conflict. And while the accord was claimed to focus on weakening the mullahs’ regime and boosting the Iranian people’s status, the concessions provided by the Obama administration delivered the exact life support the regime needed both economically and symbolically. As sanctions were rolled back, Iran’s practice of resorting to destabilizing measures across the region was provided a waterfall of financial support to sidestep a military conflict. This also greenlighted Iran to relaunch its illicit activity, only to be slapped warnings and sanctions in the past month or so by a new White House. Despite senior Iranian officials being very active in voicing dissent, the consequences of America and allies regaining a very serious position on Iran and closing the nuclear deal faucet is crystal clear. Trump has also taken the initiative of challenging Iran’s extended offensive with proxy groups throughout the region, threatening America’s interests and allies. After eight years of the Obama administration adopting a policy of nearly abandoning the Middle East at Iran’s will, the Trump administration has shown signs in complete contrast. Iran’s support for the Assad regime in Syria, sectarian Shiite militias in Iraq, the Houthis in Yemen and the Lebanese Hezbollah are the leverages Tehran must be deprived of. Iran also comprehends quite well its firepower is no match for US arsenal, and resorting to mercenaries to obtain a charade of regional dominance. The White House has acknowledged the fluid and dynamic nature of the Middle East, and pinpointing Iran’s support for the Houthis as a group affronting the Saudi’s southern border. This is a significant change of attitude as the Obama administration never acknowledged such a relation. This provided Iran a green light to expand its impact and direct regional proxy groups to spread terrorism and havoc throughout the Middle East. All eyes are now on the Trump administration, seeking a major strategy against Iran’s network of proxies. This can most specifically be achieved by severing all flows of funds and arms from the source: the IRGC. Riyadh has also welcomed the new White House’s more serious approach regarding the Middle East, and backing America’s allies who are currently struggling to prevent transnational terrorists, including ISIS, and specifically focusing efforts to end Iran’s meddling in countries such as Yemen. Iran poses a major concern for international security, demonstrated in the Trump administration condemning the country’s support for terrorism on a broad scale. Funding and arming the Lebanese Hezbollah, knee-deep in the Syria crisis with arms and boots transferring, Shiite proxies on a rampage against Sunni minorities in Iraq in the name of fighting ISIS, and as mentioned above, the Houthis in Yemen. True, the Trump administration has many cards to play against the regime in Tehran. Iran’s crusades in these four Arab countries can be brought to an end through one single measure. A swift and punitive response from the White House can be found in the US and all international correspondents designating Iran’s IRGC as a foreign terrorist organization, ending the naïve policy of appeasement vis-à-vis Iran. Through such measures the Trump administration will have correctly acknowledged the actual source of turmoil in the Middle East. It is high time for the West, and especially the US, to adopt a smart strategy targeting Iran’s key pillars in its network of international terrorism and draining the swamp of Tehran’s overreach across the region. Disclaimer: Views expressed by writers in this section are their own and do not reflect Al Arabiya English’s point-of-view.